Sure, BattleBots was cool, but let’s not forget the real father of Robot TV deathmatches broadcast for our pleasure: the classic BBC series Robot Wars. Fans of violent robotic combat rejoice then, because the BBC are bringing back the series with more robots, and some mandatory science bits to distract you from the FIGHTING ROBOTS. 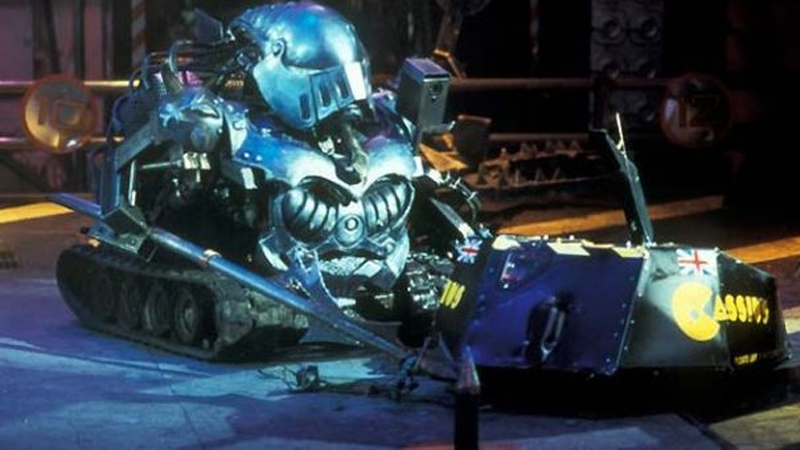 Robot Wars ran on the BBC between 1998 and 2003, and was hugely popular at the time. BattleBots itself branched off from the original idea for the United States version of Robot Wars, sparking a plethora of spin offs across the world. The new series will be filmed at a new custom built Robo-arena in Glasgow, Scotland and will once again task amateur robot builders to create and control their own mecha-gladiators to do battle for the right to be crowned champion. The six-episode season will have a new format that highlights the technology and science that goes into creating these modern robot competitors. Considering that it’s been over a decade since Robot Wars was around, there’s been enough advances in robotics that it’ll make for fascinating viewing alongside robots shredding and burning each other into ruined piles of scrap. Back in the day you were impressed if a robot had a self-righting mechanism to flip itself back up if it was knocked over. Even more so if it had a whirling buzzsaw of doom. Imagine what sort of insanity could occur with the tech we have today? Robot Wars has a patchy history in the US with repeats airing on PBS as well as a single-series version on Nickelodeon—but even though there’s no word on just when Robot Wars will return in the UK, it’s certainly possible that BBC America will pick up the revived series for US audiences. After all, murderous robot battles are something that can be universally appreciated.